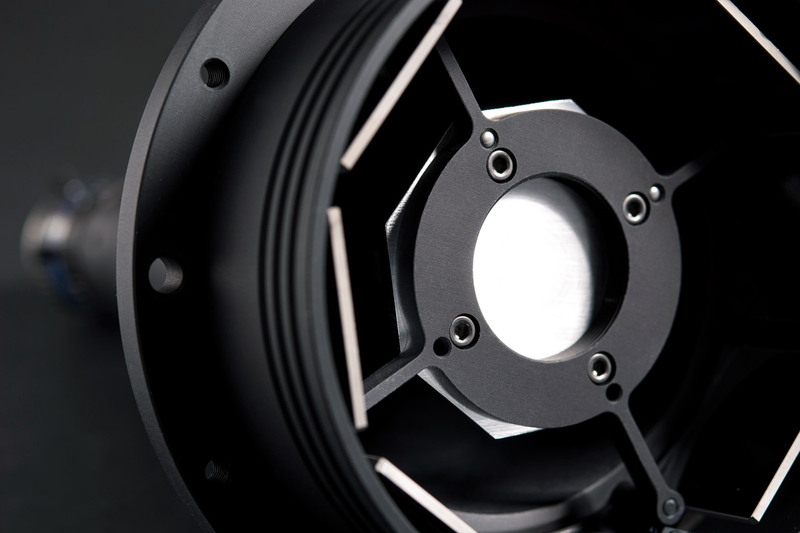 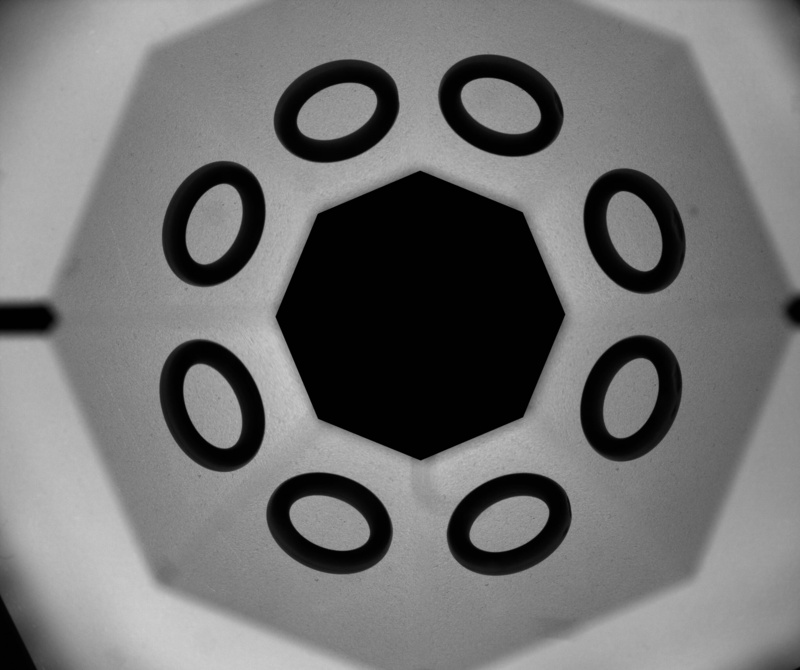 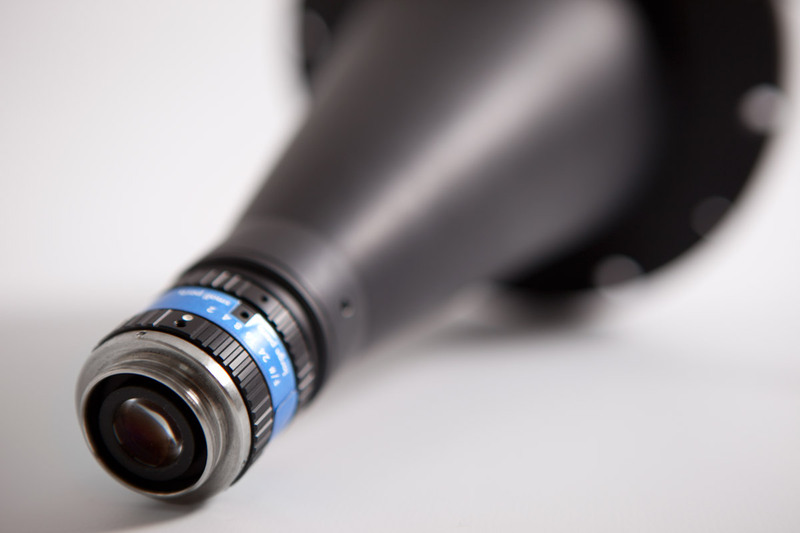 PCPW optics provide eight different views of the side and top surfaces of an object. 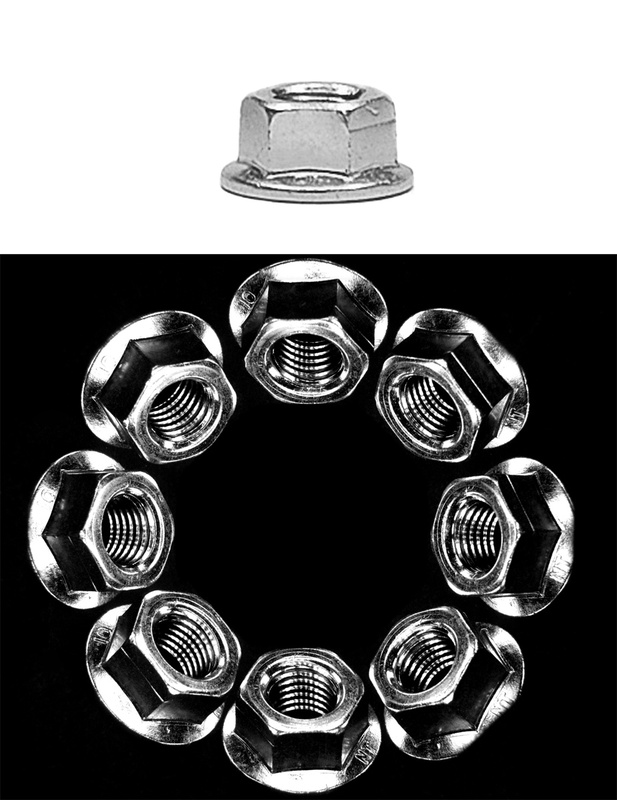 The wide view angle (45°) enables the inspection of the side features of an object (for example the threads of a screw or a nut) otherwise impossible to acquire with a single camera. 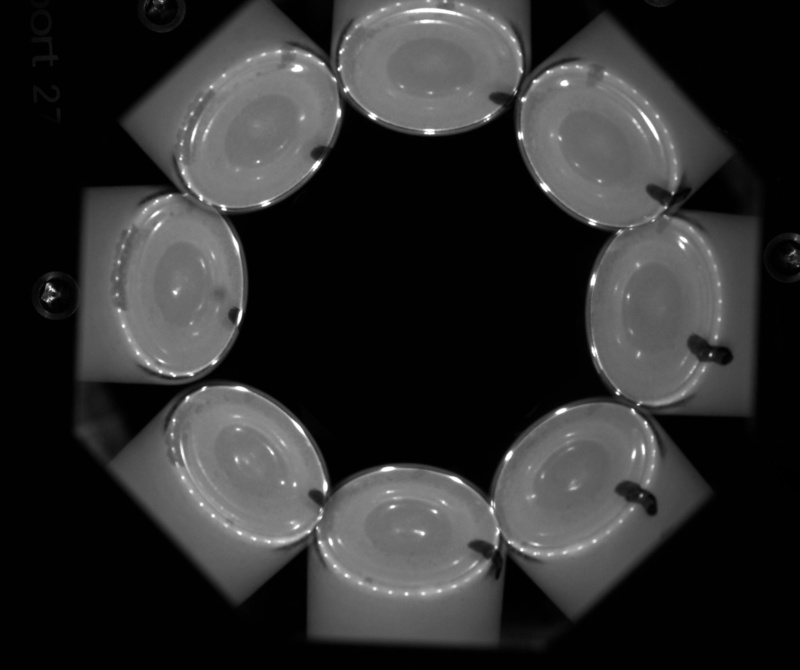 Both the external walls of an object and its top can be imaged at the same time, while internal surfaces of holed objects can be completely inspected from the outside. 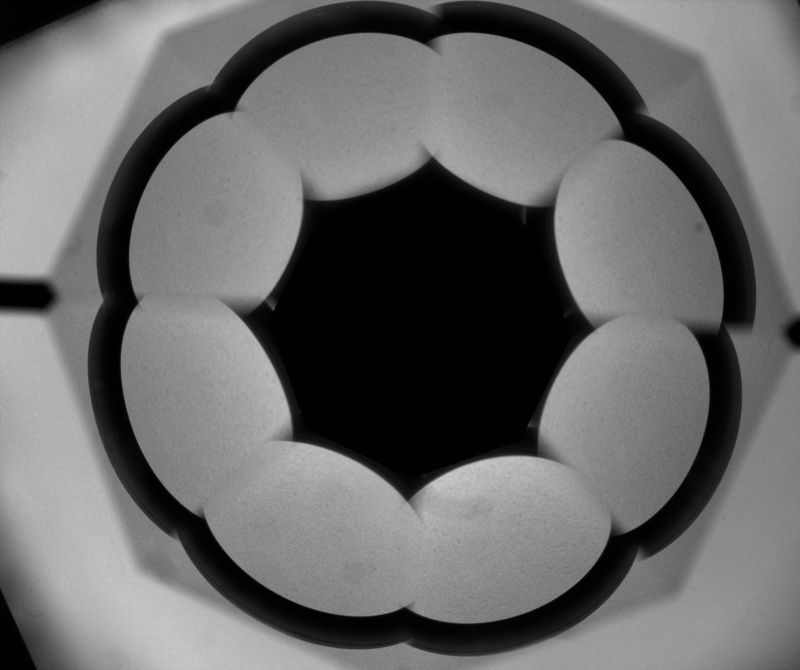 A combined view of the internal and external surfaces is possible and an image displaying both the inner walls and the bottom of a cavity can be obtained. 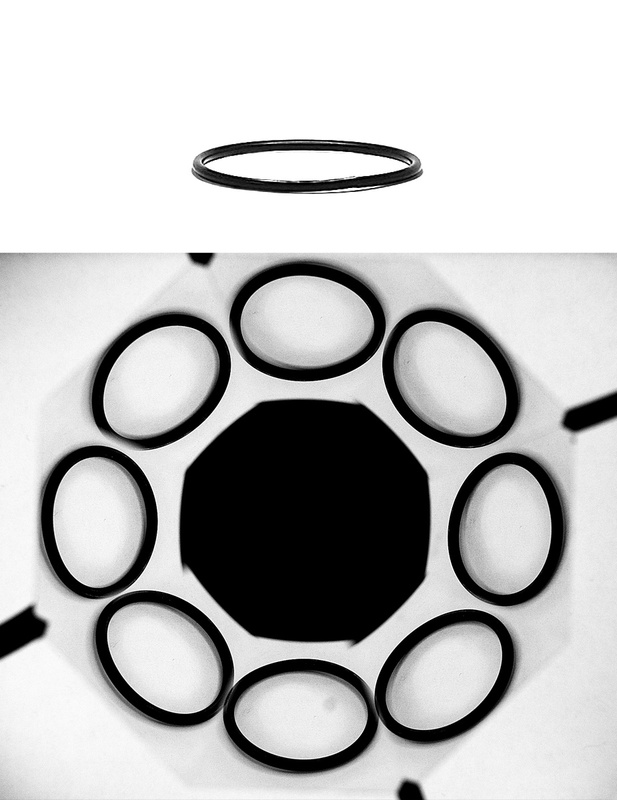 In addition to these unique features, PCPW optics also ensures excellent image resolution and image brightness. 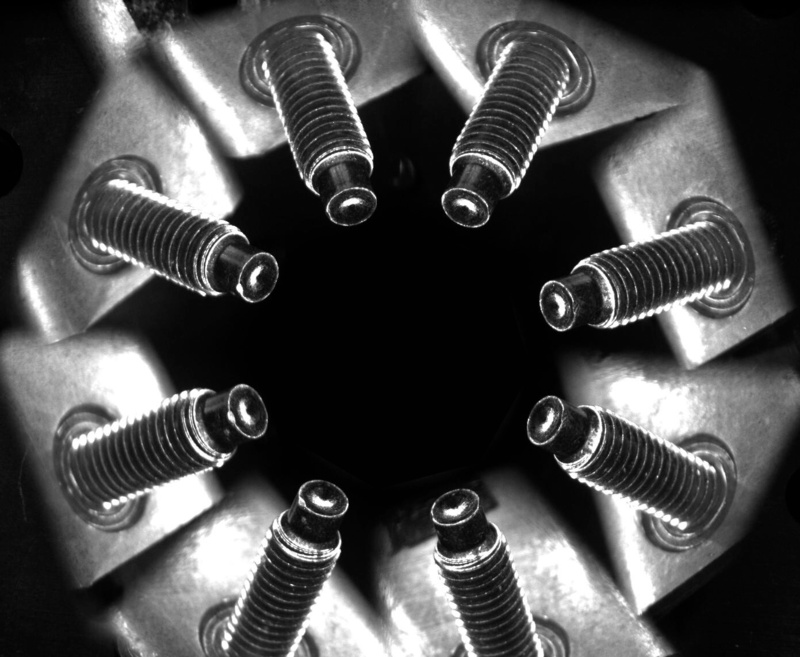 Even the tiniest defects can be detected. 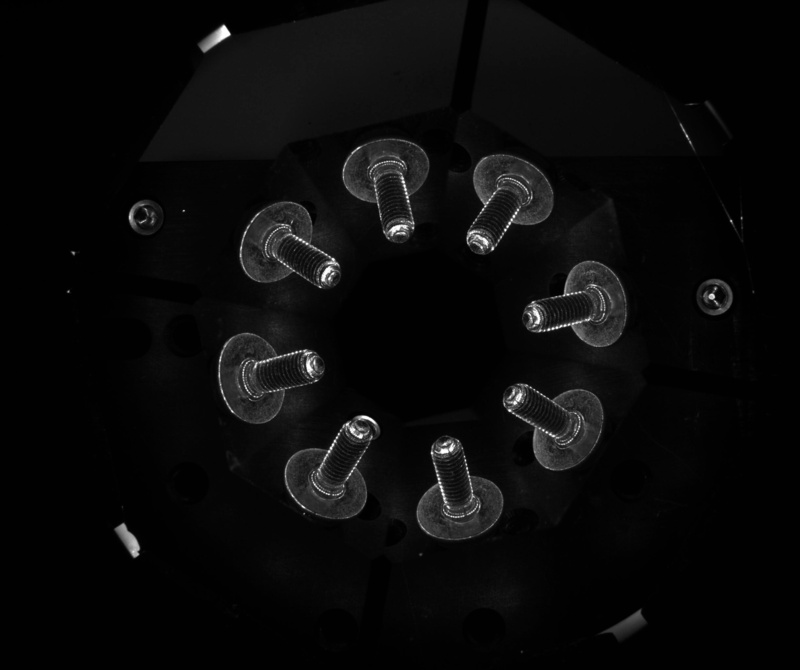 of the cavity will be imaged instead of the top, thus enabling both outer and inner side inspection. 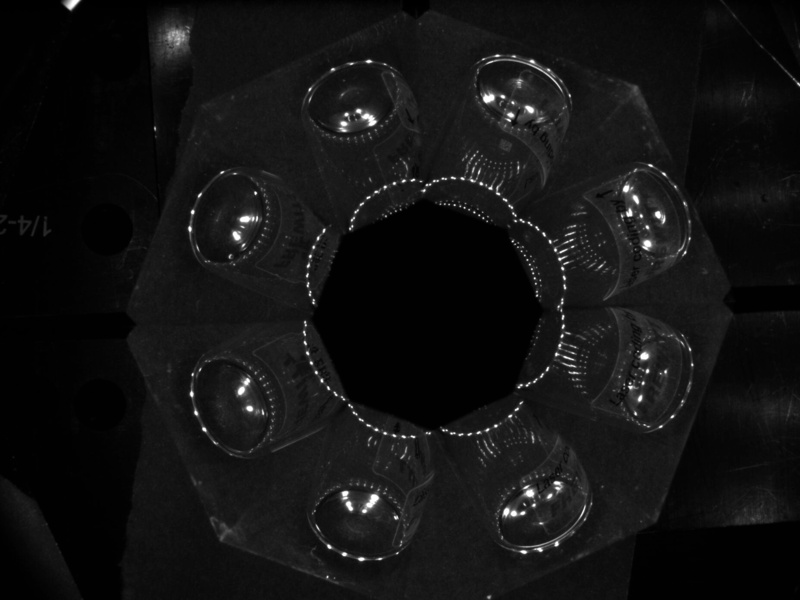 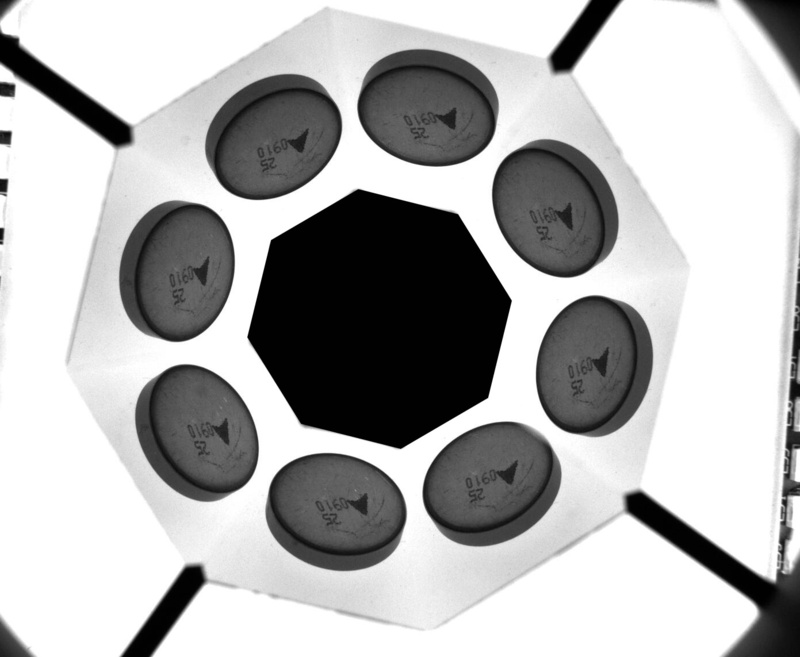 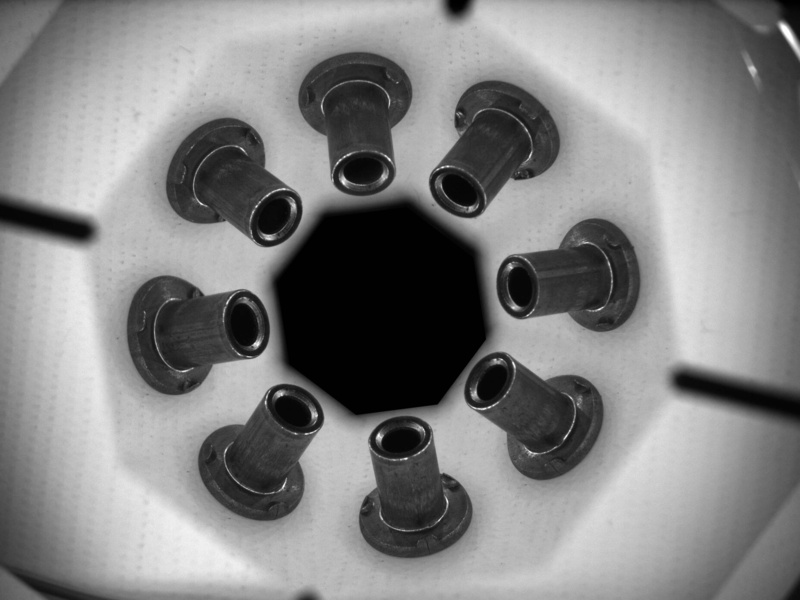 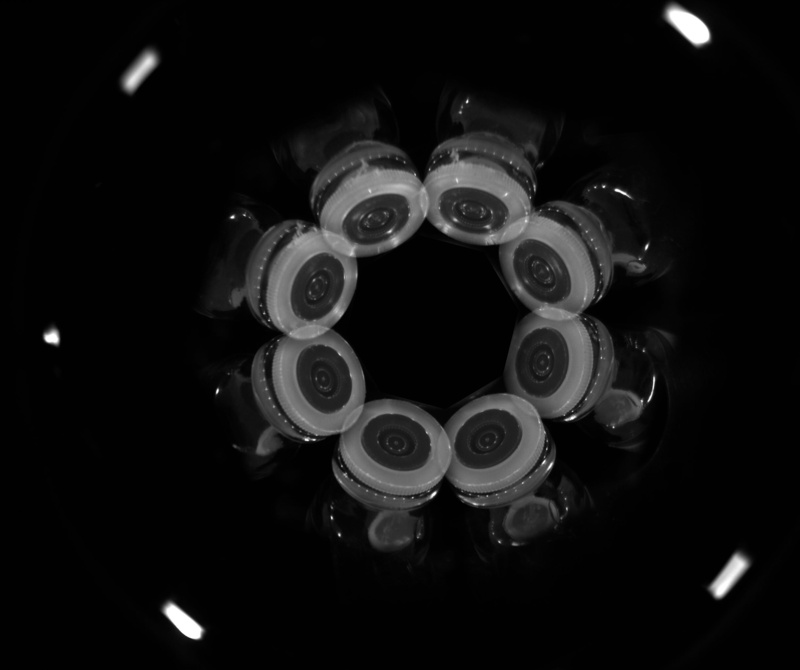 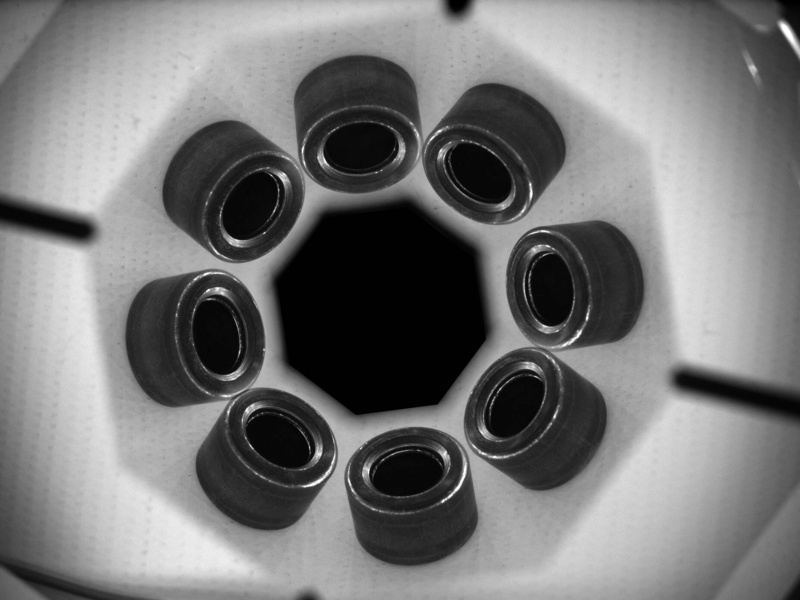 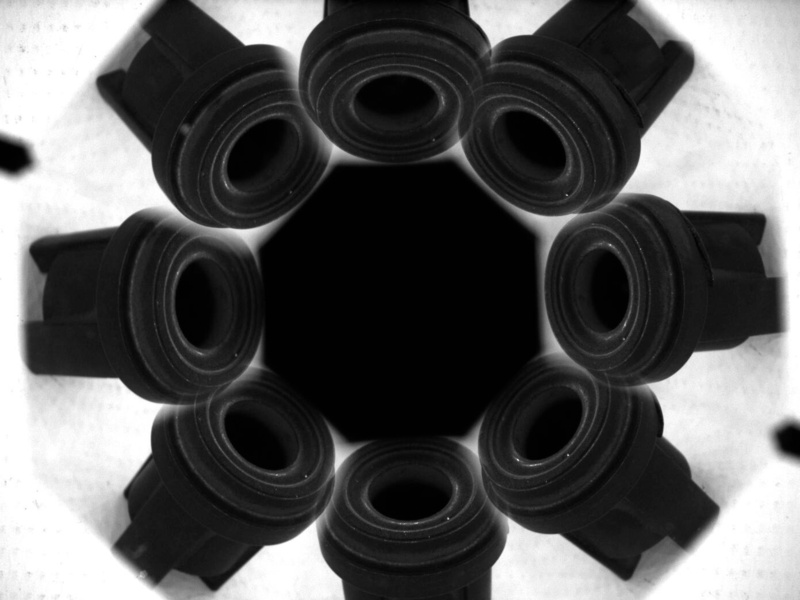 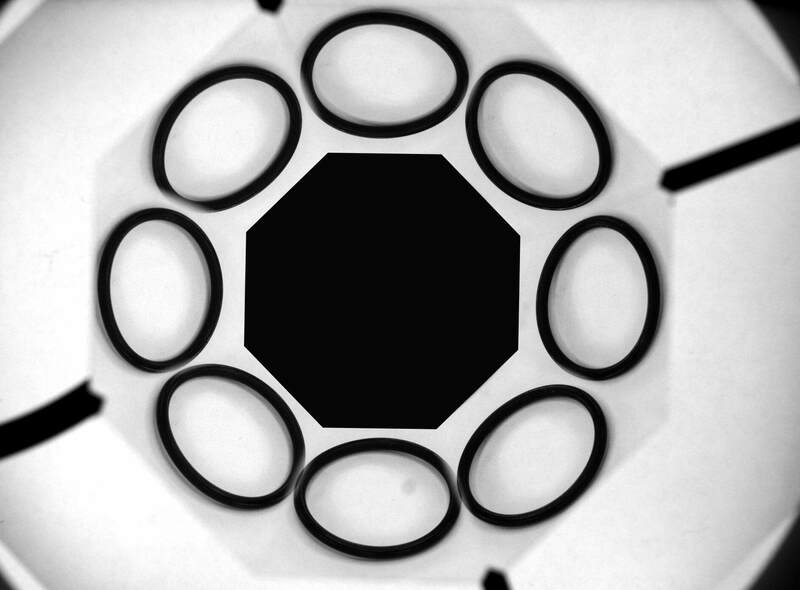 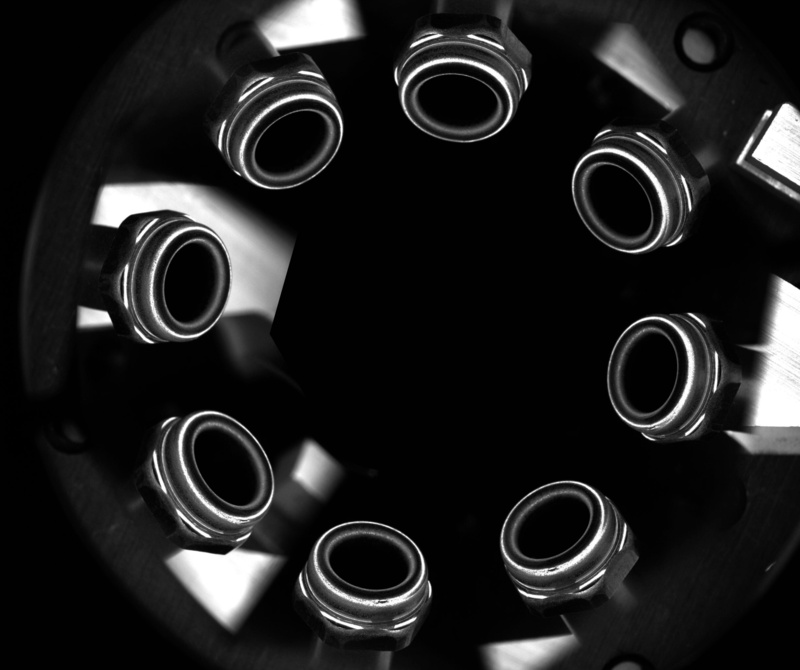 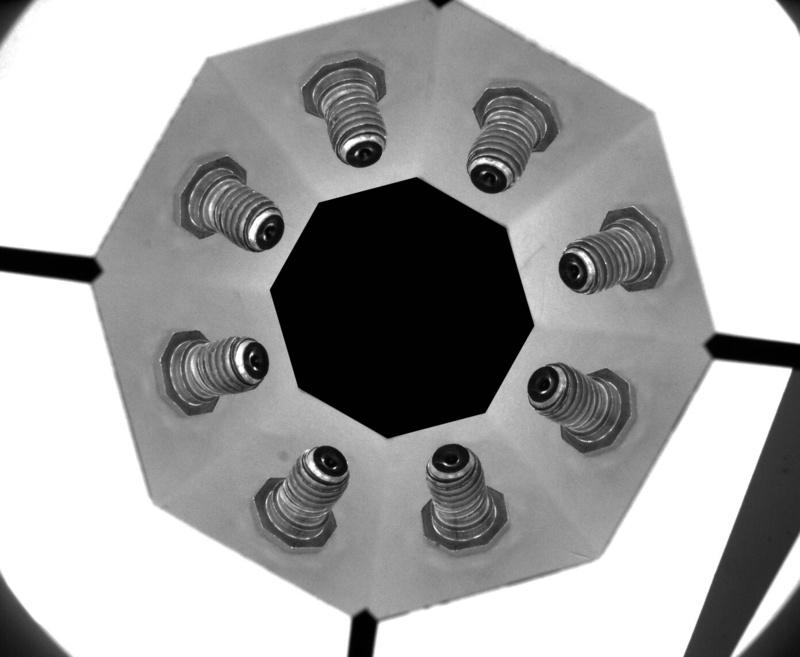 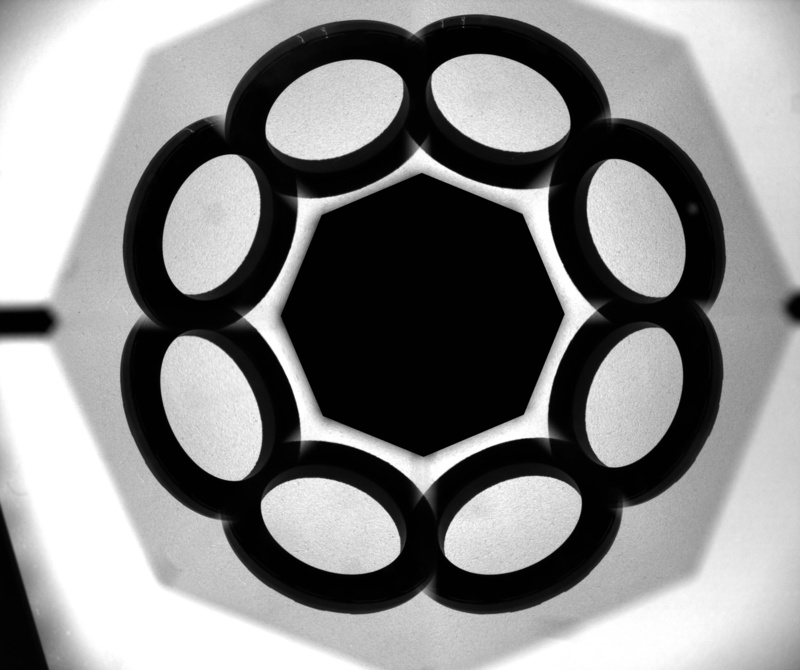 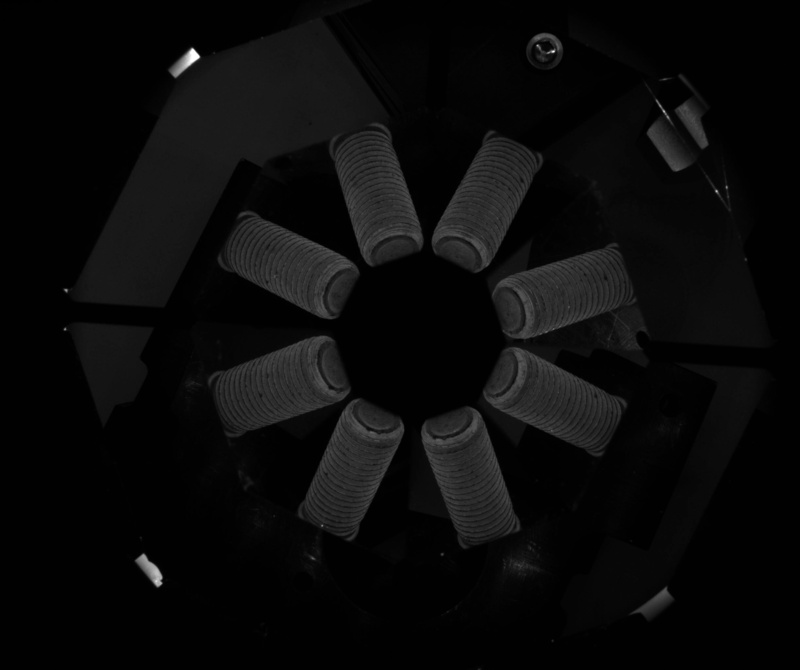 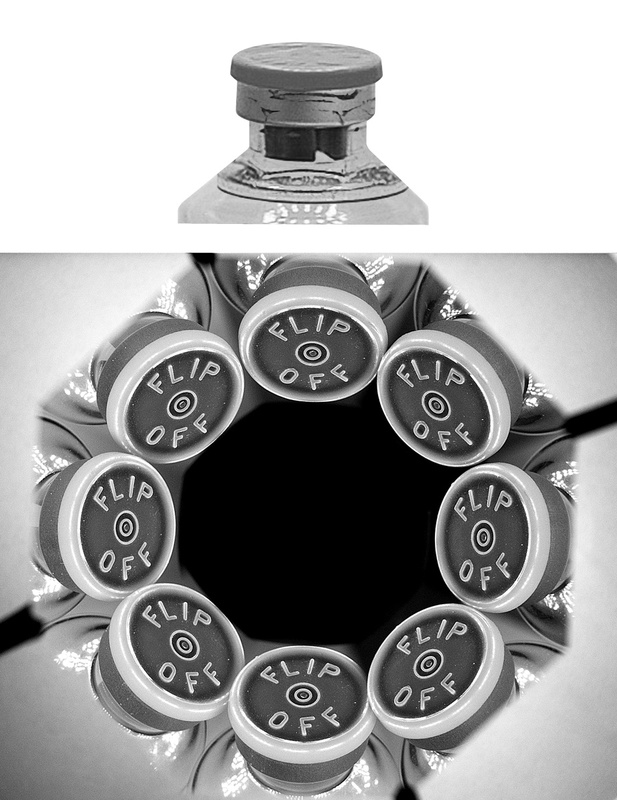 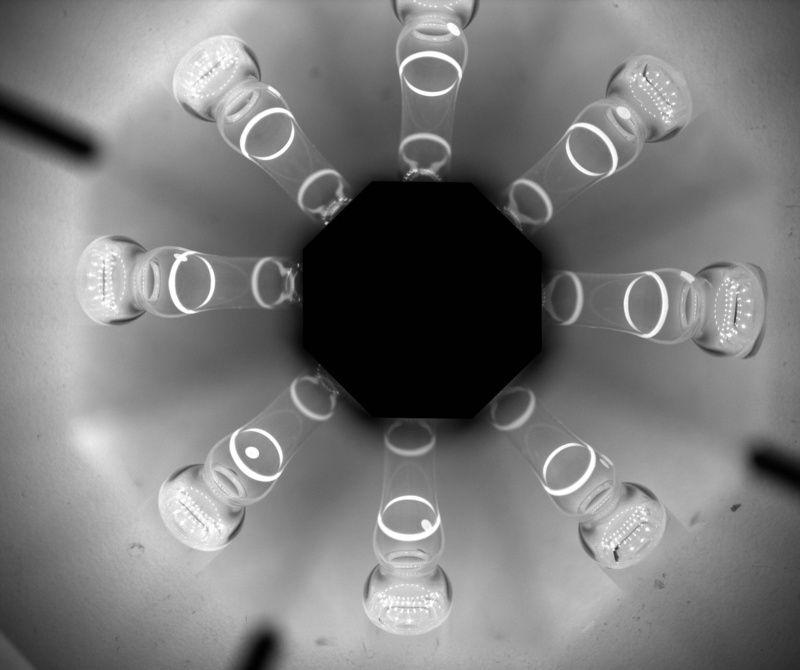 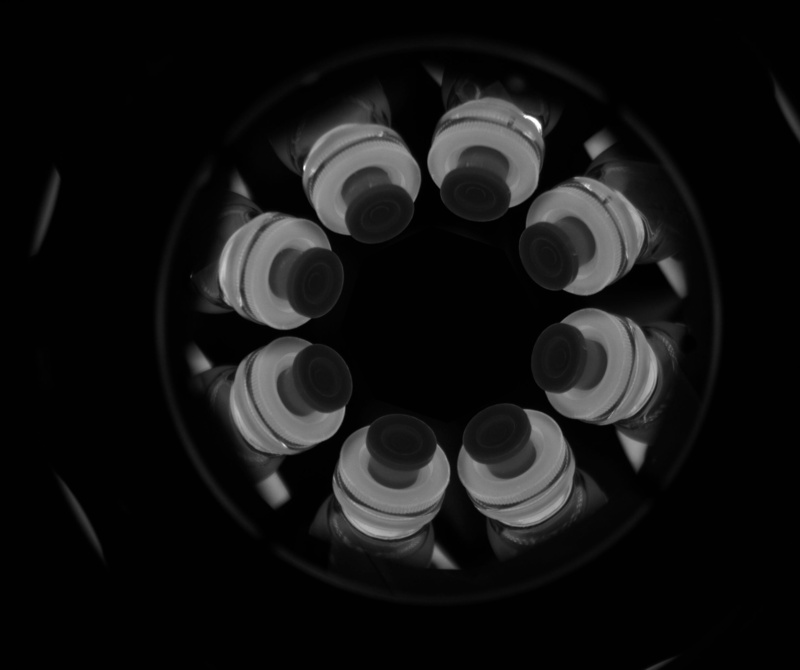 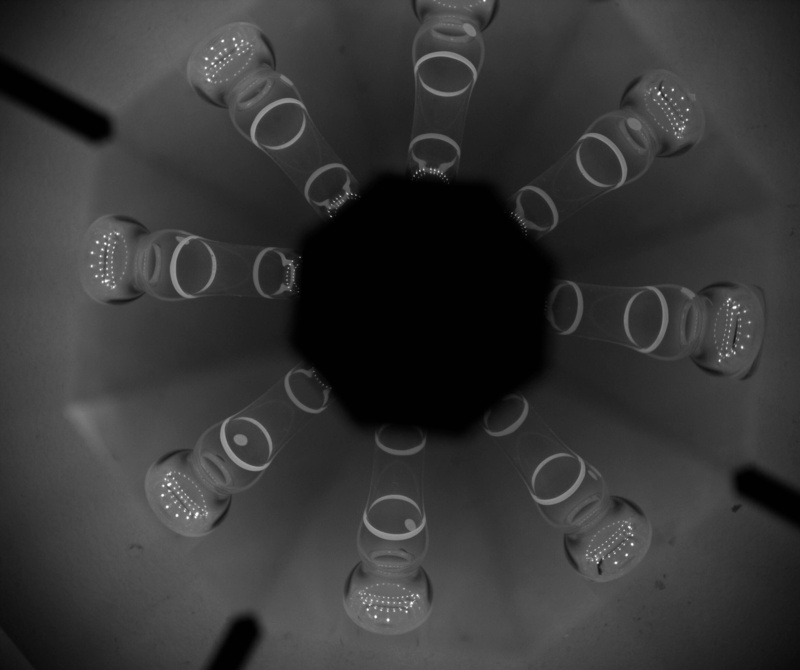 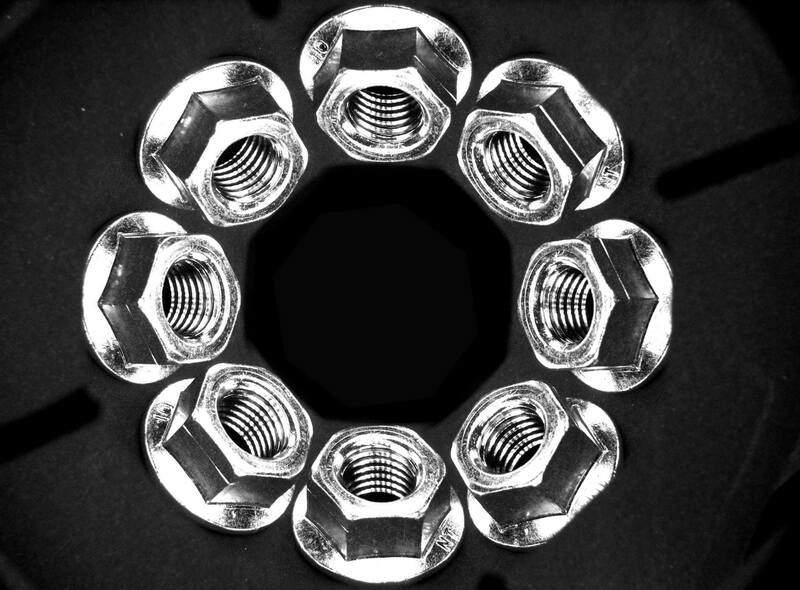 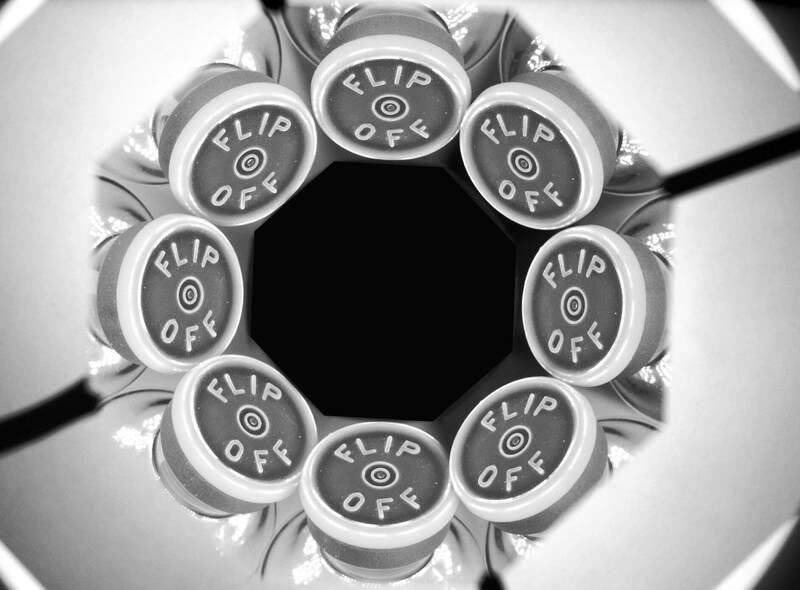 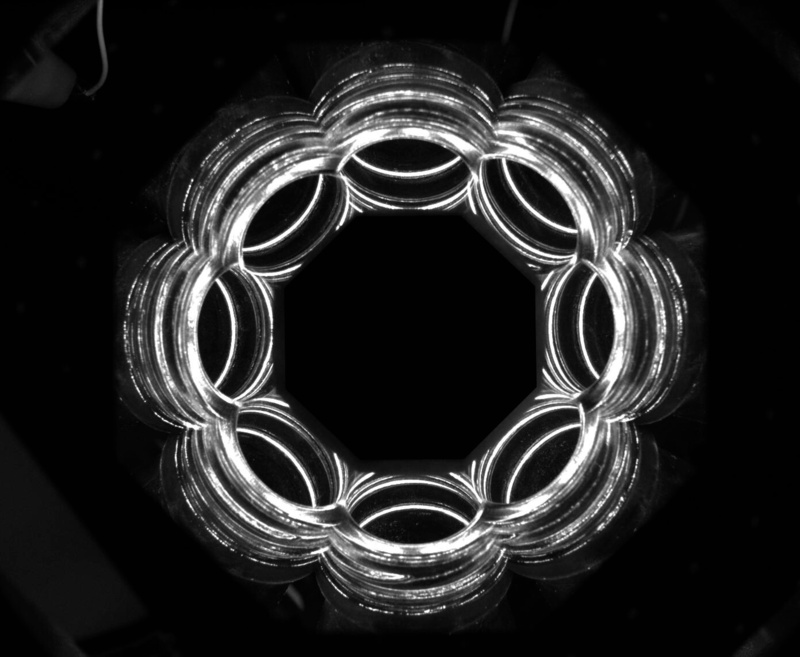 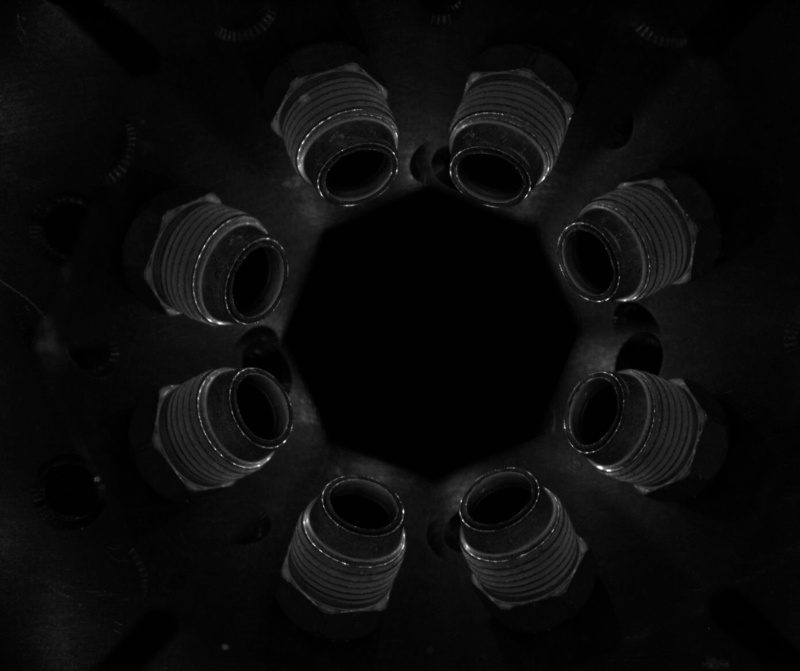 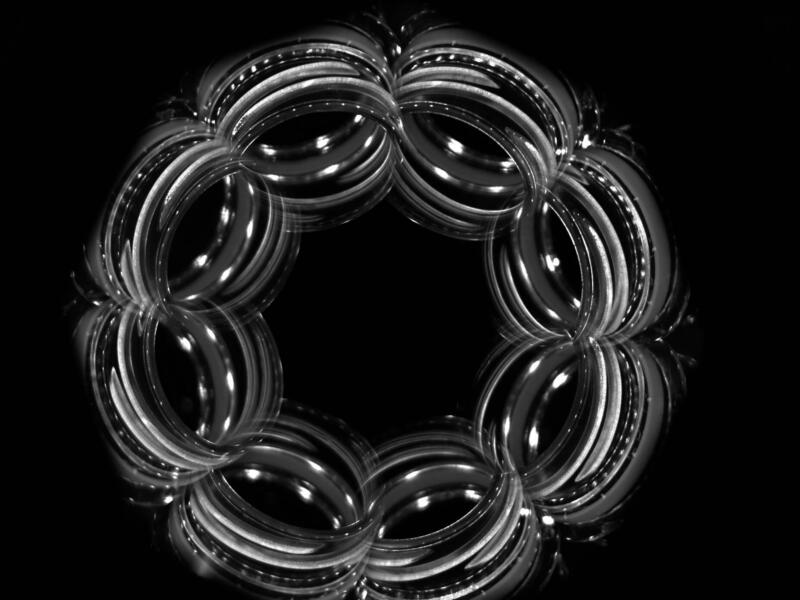 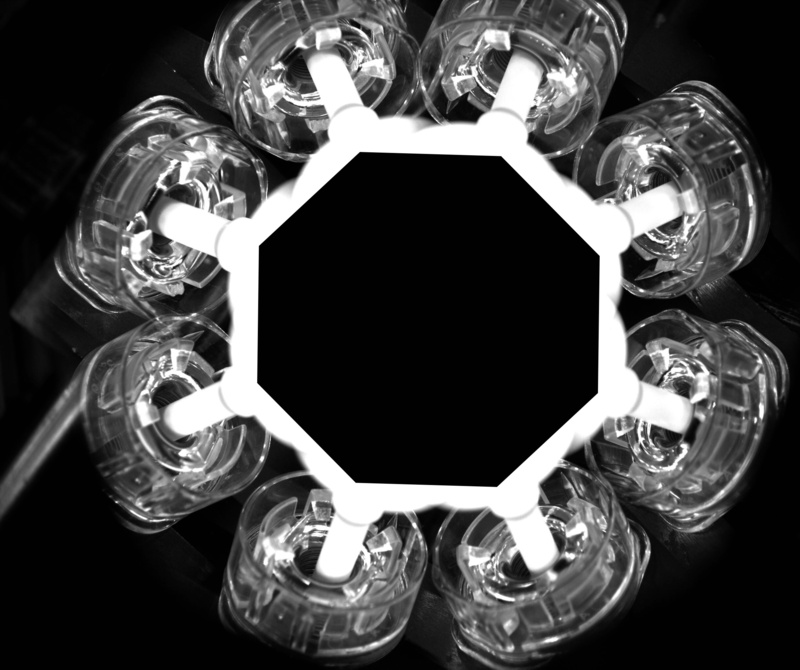 In order to perform a complete 360° inspection, each of the eight image portions should image at least 1/6 of the cylindrical surface; this condition ensures a good overlapping between two different lateral views, since part of the object features will be shared by two neighboring image portions..
Up to 50 mm diameter objects can be inspected, provided their thickness doesn't exceed 5 mm. 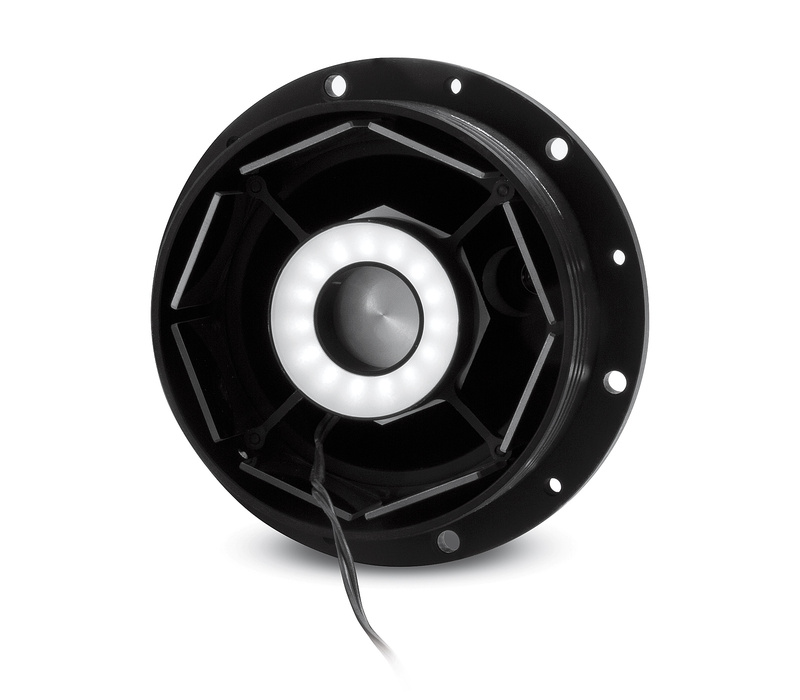 LTRN 050 W 45 is a small LED ring illuminator compatible with different OE products and suitable for a variety of inspections. 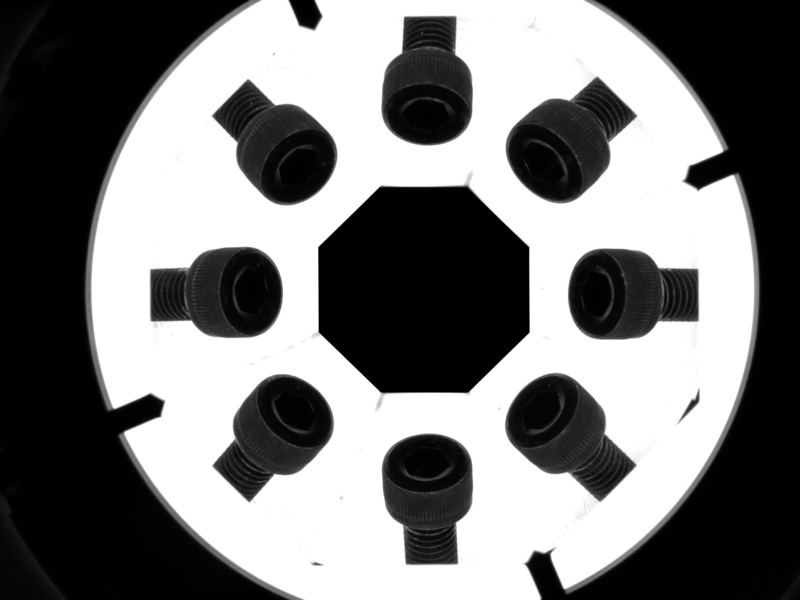 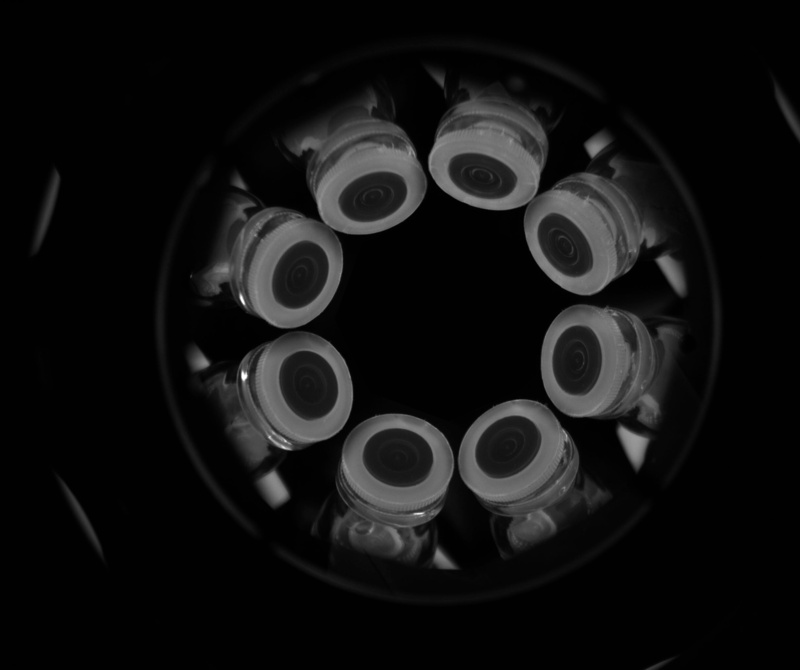 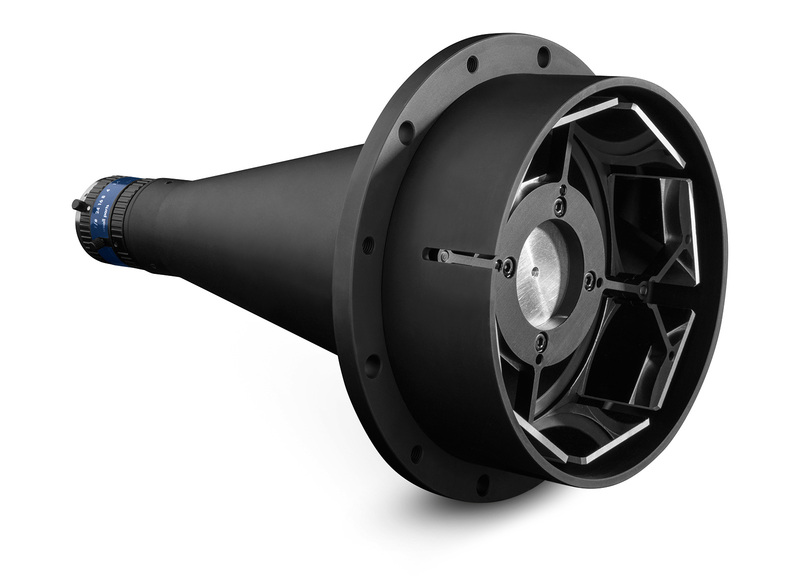 This illuminator is also perfectly suitable for illuminating the inner sides of a cavity imaged by a Polyview lens; the illuminator flange is threaded to fit PCPW series inner mounting interface.